MOON TOWNSHIP — The Moon Tigers (19-1, 11-1) hosted the Montour Spartans (14-8, 7-2) in their last regular season game of the year. The Tigers also celebrated their seniors with their annual senior night and played without one of their star players, Donovan Johnson. The Spartans came out red hot hitting a contested three on the first possession of the game. They continued their scoring binge with a few layups going on a 9-4 run to open the quarter. 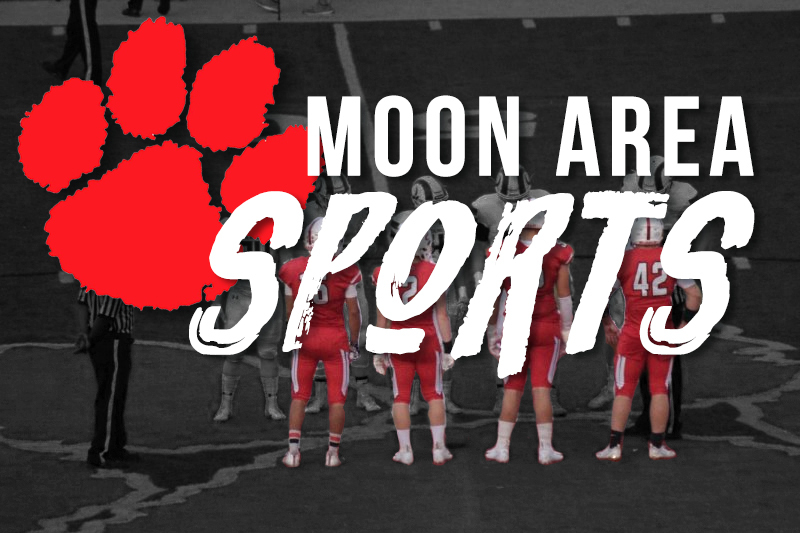 Moon’s offense came out slow, but their defense was not to be overlooked. The Tigers had a total of four steals in the first quarter. After Montour’s 9-4 run, the rest of the quarter was a back and forth between both teams. Besides a layup from Jioni Smith, which was through three-defenders there were no real stand-out plays from both teams. Montour came out on top after the quarter, 18-13. The second quarter started off with some toughness on display from both teams due to an and-one for each team. The second quarter showcased an emphasis on defense for both teams as both teams scored less than they did in the previous quarter. Yet again, both teams went back and forth trading blows for most of the quarter. The Spartans narrowly escaped the half with the lead, 28-25. Moon came out of the half looking like a completely different team. The defensive and offensive intensity increased dramatically. Tre Carter led the defensive charge coming out, as he racked up two steals and led to some scores. Taru Jones came out hot on offensive scoring with six points, including an and-one, in three minutes after a cold first quarter where he missed three layups. Near the two minute mark of the third quarter, Austin Ryan hit an uncontested corner three to tie the game up. A possession later, Connor Ryan scored a layup to take Moon’s first lead of the game. Moon ended the third quarter with a 38-35 lead. Montour opened up the quarter drawing a foul and converting two at the line. Moon responded with a layup from Smith who also drew a foul on the play sending him to the line. The Spartans made a late-game push and went on a 6-0 run to take the lead midway through the quarter. To break the 6-0 run Austin Ryan hit a three to take back the lead. Around this time, tensions ran high in the building. A few Montour fans and Moon fans got into a little pushing and shoving match with even a Montour player involved in the action. After the extracurricular activities, the game got back underway with the Tigers up by four with 20 seconds left. The Spartans started fouling, but could not crawl back to win the game. The Tigers came out victorious, 56-48. The Tigers will now head into the WPIAL playoffs with their second section title in three years, sporting a 19-1 record. Their opponent is to be determined in the following days.